2018 has been a tumultuous year so far in general, but especially so in the world of Starz' recently-troubled TV series adaptation of Neil Gaiman's American Gods. First it was announced that, following budget disputes with Starz and Freemantle Media, showrunners Bryan Fuller and Michael Green were unceremoniously leaving the show; a frightening development considering that season 1 was aggressively un-standalone, and clearly served as the introductory chapter to a longer arc. Then it was announced that Gillian Anderson would likewise not be returning in her role as the God of Media, which was nearly as troubling, considering that her chameleon performance was easily one of the best things about the all-around stellar debut season. But this morning at the 2018 Television Critics Association Winter Tour, Starz network head Chris Albrecht finally gave us some good news. 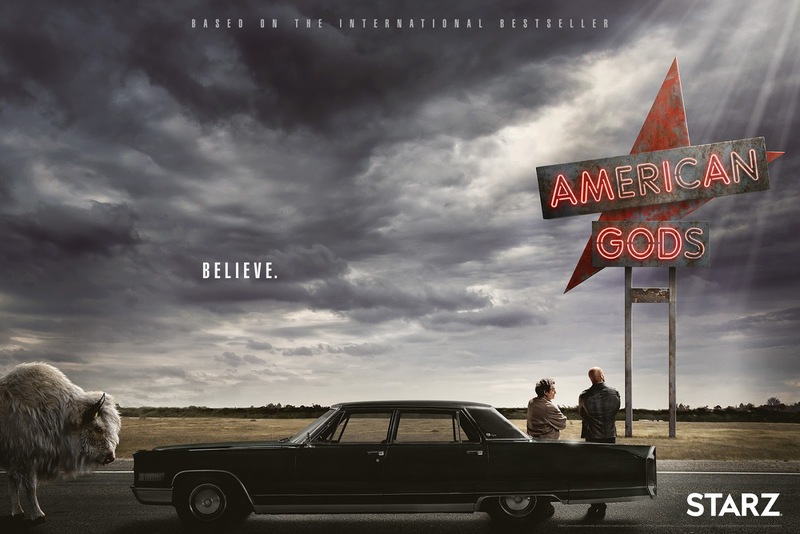 Not only is American Gods season 2 definitely happening, but Neil Gaiman himself will be stepping up to help the show move forward. This is a pretty huge announcement for a couple reasons... first of all, it appears that Fuller and Green aren't necessarily totally gone from the show after all – they just won't be the showrunners. What this means has yet to be determined, but given how unique their take on the novel was in season 1, it is encouraging that they may have some role in shaping the vision of the show going forward. Then there's the bombshell announcement that Gaiman will be acting as some sort of showrunner, which is a dream come true to put it mildly. If anyone's confidence in the show was shaken by the departure of its original showrunners, surely the author of the source material getting a bigger role will put everyone at ease – and may even make it a better show. Of course, the wording of this statement makes it clear that Gaiman will not be the showrunner – as the author himself clarified on Twitter, saying “I suspect there's some crossed wires somewhere” and “we are in the process of finding a new showrunner (and very close to an announcement).” So no, he's not taking over Fuller and Green's job – but it sounds like he may be some sort of interim or co-showrunner, easing the transition between Fuller and Green and whoever comes next, and making sure that the vision of the series is consistent going forward. So maybe not the dream come true that we might have thought when the first, more misleading headlines broke... but still pretty amazing. Especially after the uncertainty of this recent shakeup, a greater involvement from Gaiman is exactly what the show needs to move forward. Interestingly, Albrecht also said that Anderson was never signed on for season 2, and was intended as a one-season character... which doesn't seem to make a lot of sense in terms of the novel, and is quite a surprise in its own right. Of course, there's no telling what this means: will Media be absent from season 2? Will she simply change her form, as we know she can do? Or for that matter, is what Albrecht said strictly true, or was Anderson just not yet signed for season 2, but with a possibility to return if she so chose? Only time will tell, but all of these new developments certainly suggest that the show is in good hands, and further cast departures are unlikely. Thank Odin for that.